I have been given a lot of apples recently by family, friends and neighbours as the crop this year has been fantastic. I even salvaged a few from my own small tree. 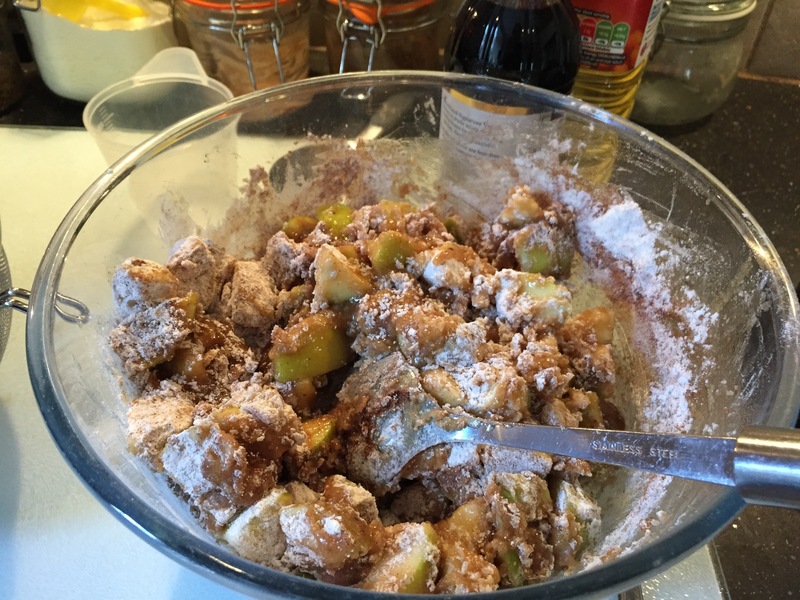 Having made apple crumble, apple cake and Eve’s pudding I was keen to do something that didn’t involve peeling – it is so time consuming and I’m sure removes a lot of the goodness. So I searched on Google and found many recipes – called ‘Grandma’s unpeeled apple cake’ or ‘Grandma’s one bowl apple cake’ – each one slightly different. 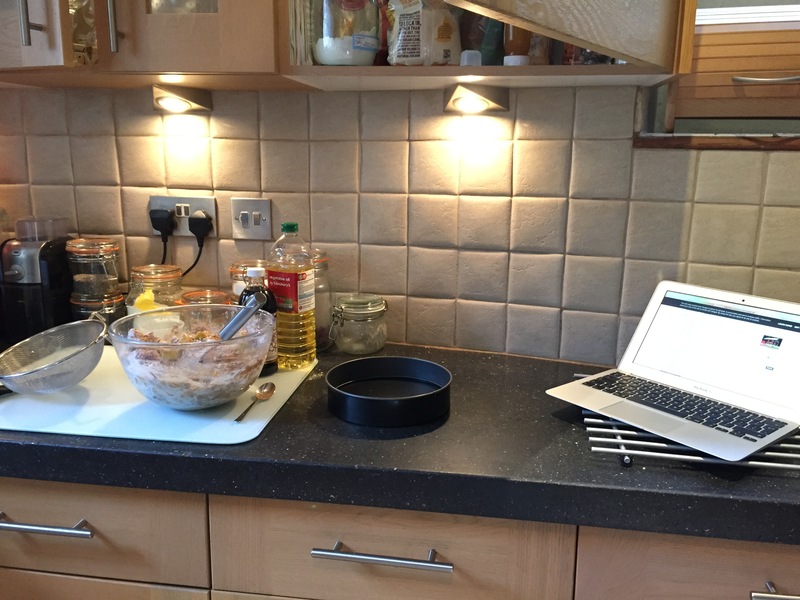 I’m not sure if one grandma invented these recipes or just a generic grandma – however as I was following one of the recipes with my laptop open in the kitchen – I though what a million miles away this scenario was from the one that the ‘grandma’ had been in originally! And as I’m soon to become a grandma, I thought I would make the recipe a new family tradition!! The cake was great by the way, especially with custard or vanilla ice cream, or both! You don’t even notice that the apples aren’t peeled. If you’d like to try it, here is my slightly modified version with UK units added. Cool slightly, cut a slice, eat!